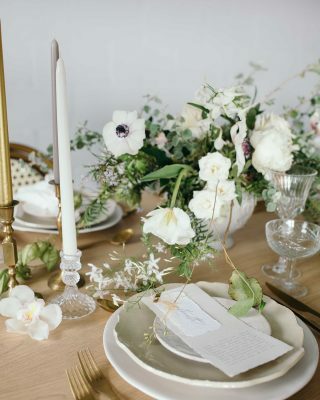 Winter weddings are all about being warm, cosy and suitably festive. 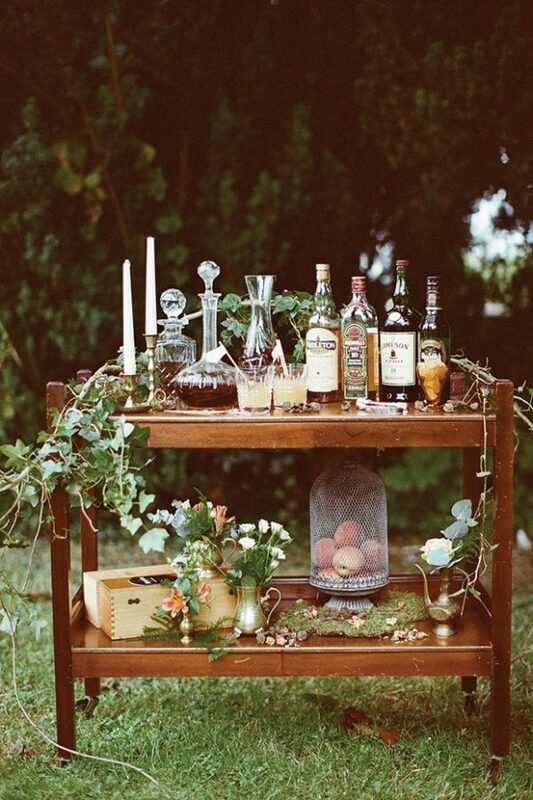 What better way to decorate your wedding venue than with a Winter drinks station? 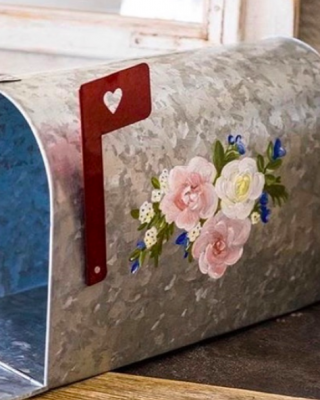 This latest (and possibly tastiest) trend has taken the wedding world by storm and it seems that couples are loving these yummy treats. Summer saw the introduction of homemade lemonade dispensers and fruity cocktail bars. 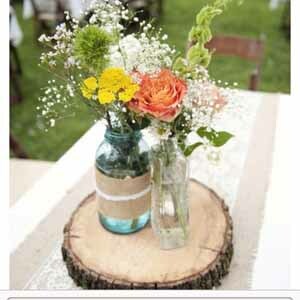 However, we’re looking at drink stations that are just perfect for your Winter celebration. 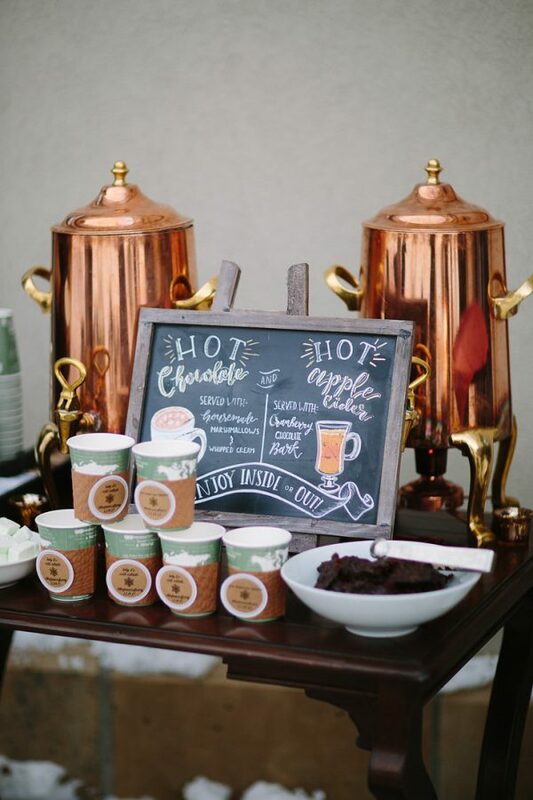 DIY hot cocoa stations are a wonderful addition for Winter weddings. Display mason jars brimming with mini marshmallows and hot chocolate powder on a table. You could use a chest of drawers or a bookcase to serve your hot chocolate drinks. Include shots of caramel, vanilla and white chocolate sauce for a truly tasty experience. 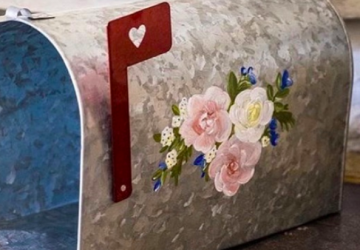 Your guests will love this idea, especially when it gets chilly in the cold Winter evenings. 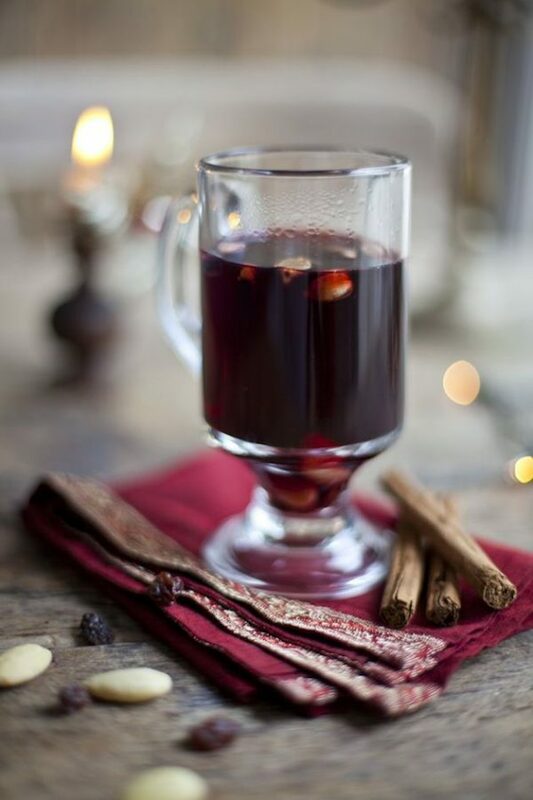 Mulled wine is a must-have at any festive wedding. A drink station dedicated to serving mulled wine will look fabulous decorated with fir wreaths, pine cones and cinnamon sticks wrapped with ribbon. You could fill drink dispensers with hot mulled wine so that guests can serve themselves, but it might be asking a member of staff to check it’s all working okay during the reception. Sometimes all you need on a cold Winter’s night is a cup of tea or coffee – and your guests will definitely appreciate it! 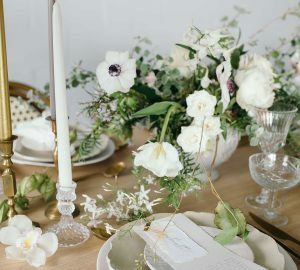 It’s often at the end of the evening that people start craving a cuppa, but it’s easy to incorporate it into your big day while still looking chic. 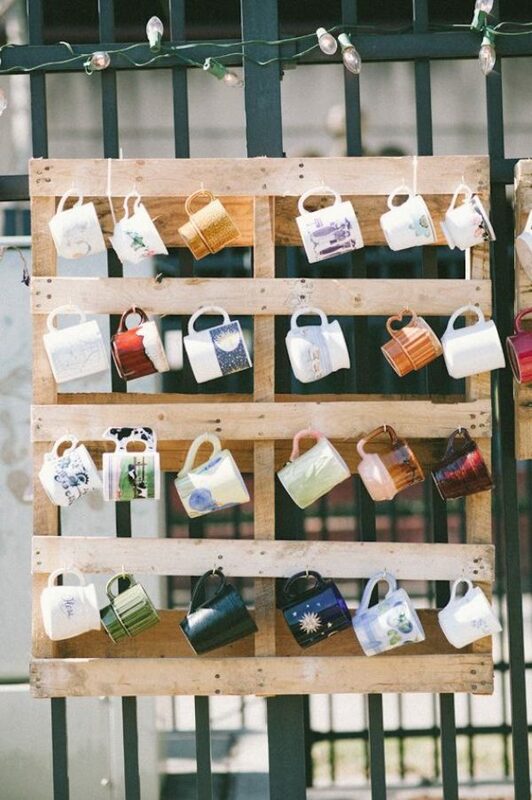 Hang a mixture of vintage cups on a wooden pallet or wooden shelves. Provide jars of teabags and coffee, along with jugs of milk and boiling water. 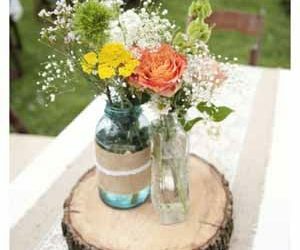 Include a few mason jars full of biscuits and festive delights to go with the drinks. 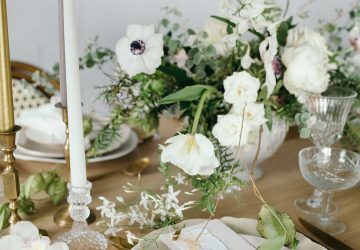 Winter weddings are never complete without a few Christmas-inspired cocktails. 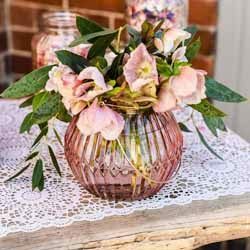 Create a cute cocktail station that your guests can help themselves to. 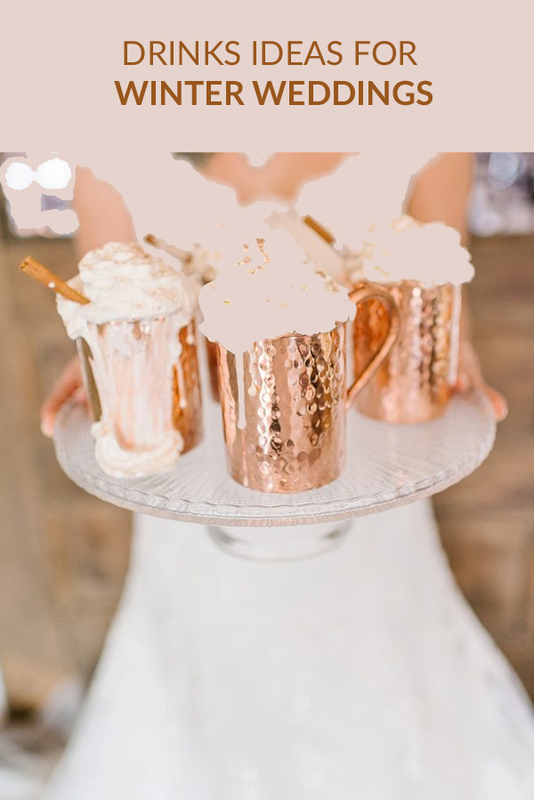 It’s best to choose two signature drinks: the bride’s favourite cocktail and the groom’s favourite cocktail. This is a very classy way of making sure your guests stay hydrated while feeling festive. Snowballs, Eggnog and mulled cider are very delicious additions.